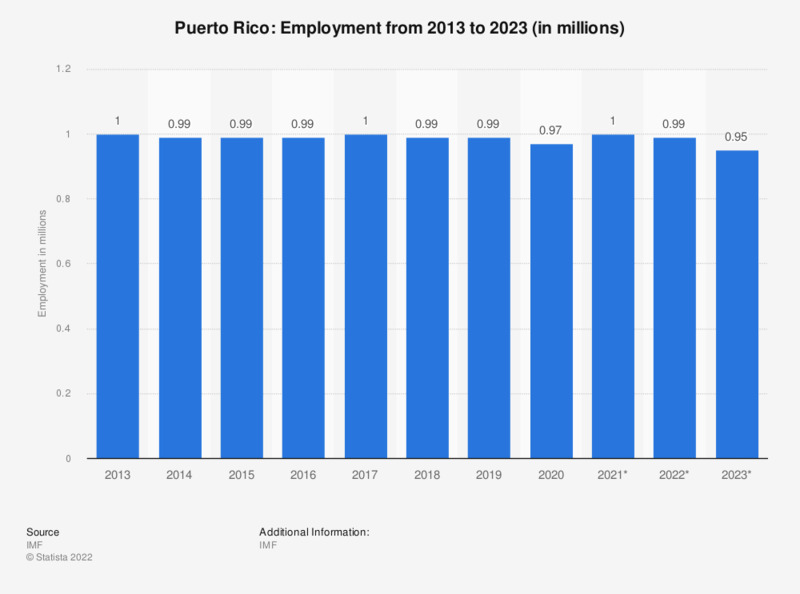 This statistic shows the employment in Puerto Rico from 2009 to 2017, with projections up until 2019. In 2017, around 1 million people were employed in Puerto Rico. Everything On "Puerto Rico" in One Document: Edited and Divided into Handy Chapters. Including Detailed References.